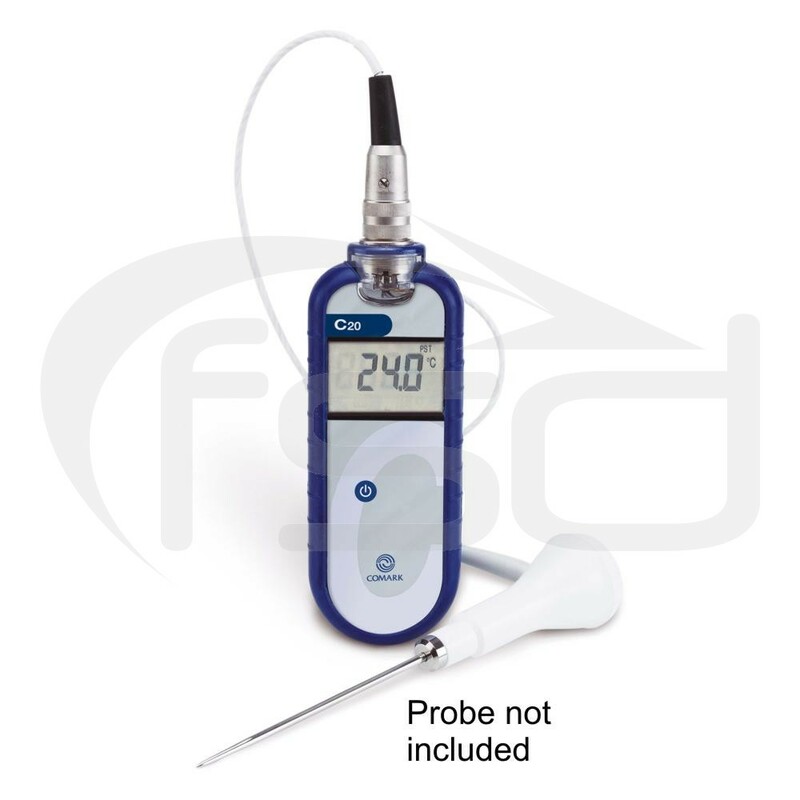 Ideal for taking temperatures in catering and foodservice environments, the C20 Thermometer is has a simple, single button operation for ease of use. Lumberg connector for use with a wide range of Comark thermistor probes. We can also provide certificates at other temperature points. Note: Instruments are calibrated to order and will be despatched in 5 to 10 working days. Please note probe not included.